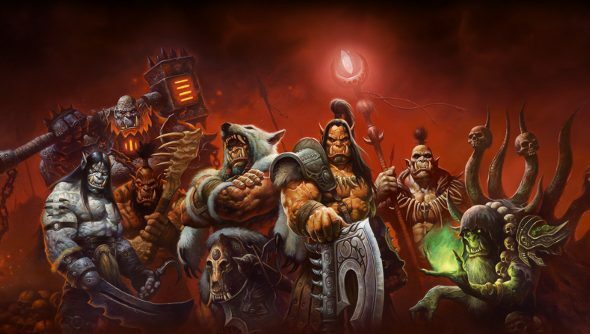 Since announcing Warlords of Draenor at BlizzCon, Blizzard have been listening to players – I hope you didn’t say anything too lewd – and tweaking their plans in regards to the PvP experience. Trial of the Gladiator is out, Skirmish is back and an official spectator mode is in the works. The special ranked Arena mode, Trial of the Gladiator, was conceived with the goal of focusing high-level PvP at a specific time, with everyone using limited gear. Concerns were raised that this would be too restrictive, and Blizzard has decided to scrap the idea and instead focus on making PvP more inclusive. With that in mind, Skirmishes are making a come back. They were ditched in Cataclysm because unranked Arenas seemed redundant, and nobody was taking advantage of them. But instead of rising from the grave unchanged, Skirmishes will see some improvement. Players will be able to queue for 2v2 and 3v3 matches, winning a random bonus that could be Honor, Conquest points, gold or something else. A spectator mode is also being developed. Match organisers will be able to set up a “War Game,” inviting two teams to beat the crap out of each other. Everyone in the organiser’s party will be able to spectate, and the feature will be opened up to add-on developers so more tools can be developed, allowing for greater customisation in the hands of the organisers.